Over, Under, Cross: What does this mean for your bite? In order for your teeth and jaw to work properly, your bite must fit properly when at rest. 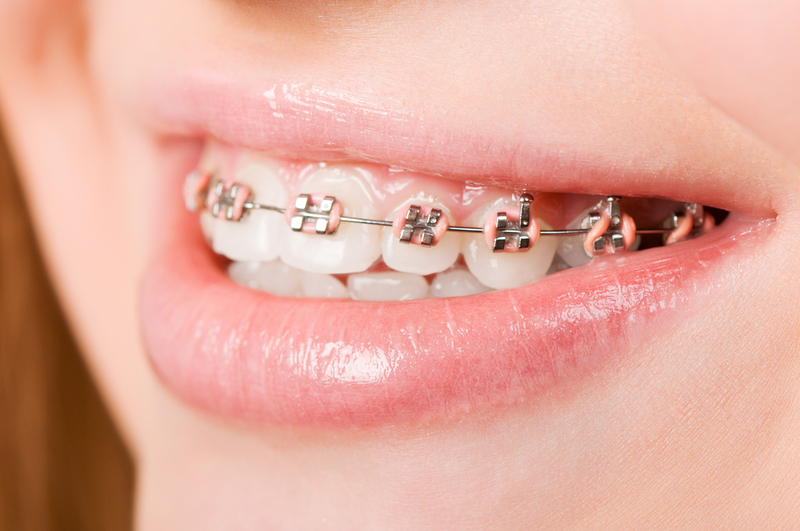 When opposing teeth do not line up as they should, the condition is called malocclusion. The misalignment puts undue stress on jaw muscles and the joints that connect your upper and lower jaw (the temporomandibular joint, or TMJ). Malocclusion can occur for a number of reasons. Dr. Peter Pate explains the most common form, called overbite. In a healthy mouth, upper teeth will ideally sit about 3-5 mm in front of lower teeth when your jaw is at rest. An overbite is a condition in which this extension is greater than 5mm. Although an overbite can be inherited from parents, a child can develop or worsen an overbite with excessive pacifier use or thumb sucking. Some overbites are so minor as to be unnoticeable, while some are so severe that they visibly alter the structure and appearance of your face. Effects of an extreme overbite, however, go beyond appearance. The strain that an overbite places on the jaw can lead to TMJ disorder, headaches, and speech impediments. Overbites constitute about 70% of dental disorders in children, making it the most common form of malocclusion. Another form of malocclusion is the underbite. As you’ve probably guessed, an underbite is the condition where the lower teeth sit in front of the upper teeth when the jaw is at rest. Because upper teeth are supposed to be in front of lower teeth, an underbite is usually more visible than an overbite. Like an overbite, an underbite can be genetically inherited, but can also be worsened by tongue thrusting or excessive open-mouthed breathing. A lesser known form of malocclusion is the crossbite. This occurs when one or more teeth are angled towards the cheek (buccal) or tongue (lingual) compared to the opposing teeth. This creates an uneven bite that causes headaches and difficulty chewing, and can lead to TMJ disorder if not corrected. Many dental treatments are available to correct your malocclusion, depending on its severity. To learn more about treating malocclusion, or to schedule a consultation with Dr. Pate, contact Dentistry in Buckhead at (404) 266-9424. We proudly welcome patients from the Buckhead area, as well as Sandy Springs, Lenox, Brookhaven, and the greater Atlanta area.